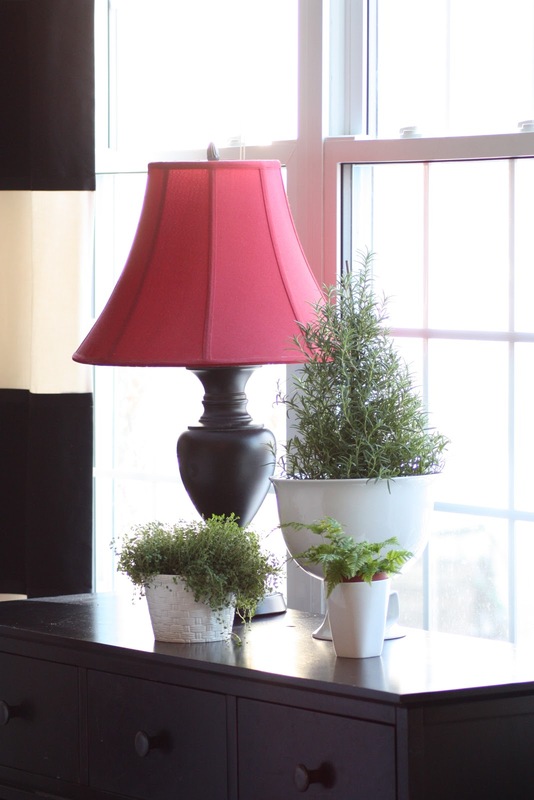 During the winter months, I like to have fresh flowers and green plants around the house to remind us of the promise of Spring. This weekend, I made a trip to the greenhouse. 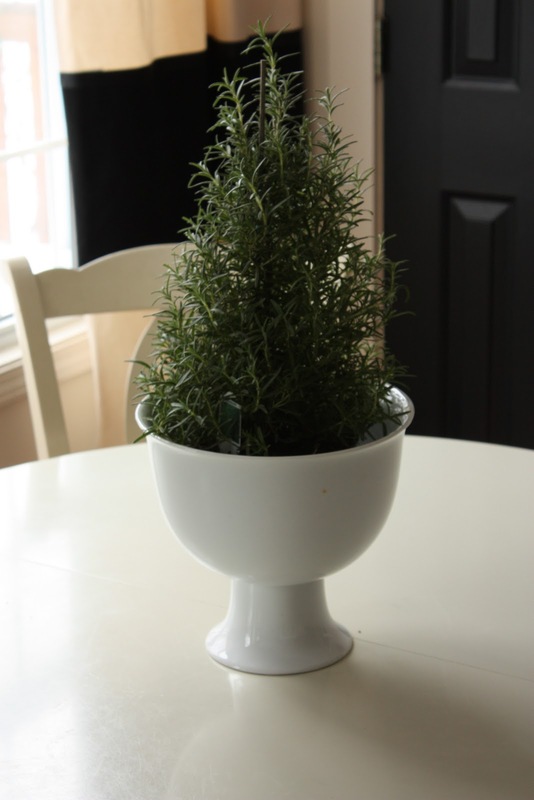 I found a Rosemary "tree" half-off. The scent is fabulous. It will be great for cooking too. I also fell in love with this sweet little plant, Baby Tears...awe. I had to buy it just for the name. I've been wanting to put together a few Terrariums. I went thrifting in search of glass cloches. No luck, they were either not available or too expensive. I went home a little disappointed and then it came to me. and the little plants fit in them perfectly. With the exception of the plants, I was able to assemble my Terrariums using what I already had. In Michigan, a little bit of green goes a long way. Very pretty! I love the baby tears! I have each one of the plants you posted except the baby tears. I have to have live plants and love to group them together in one larger container. I have not done a terrariums in ages - yours looks great I think I will give it a try after I clear out the Christmas decor. you always have such great ideas - thanks for sharing. 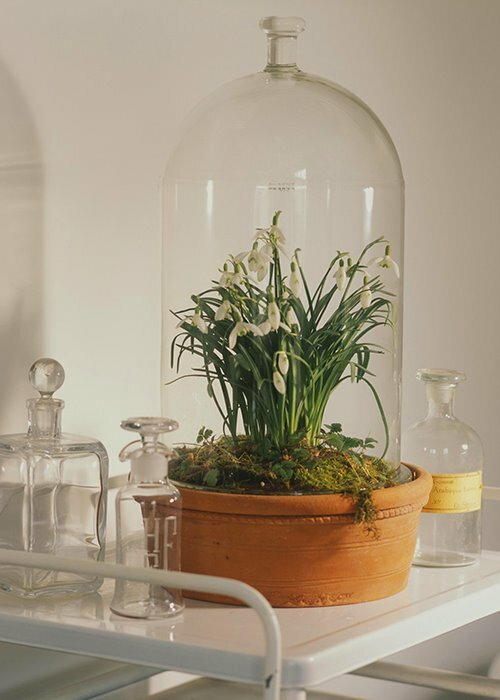 How long can you keep the lid on the terrarium before you have to let air in?